Pediatric Dentist in Milford, OH - Milford Pediatric Dentistry, Inc.
Curtis J. Creath, DMD, MS.
Our office, located in Milford, Ohio, provides specialized dentistry care for infants, children, adolescents, and special-needs patients in a warm, caring, and “patient friendly” environment. 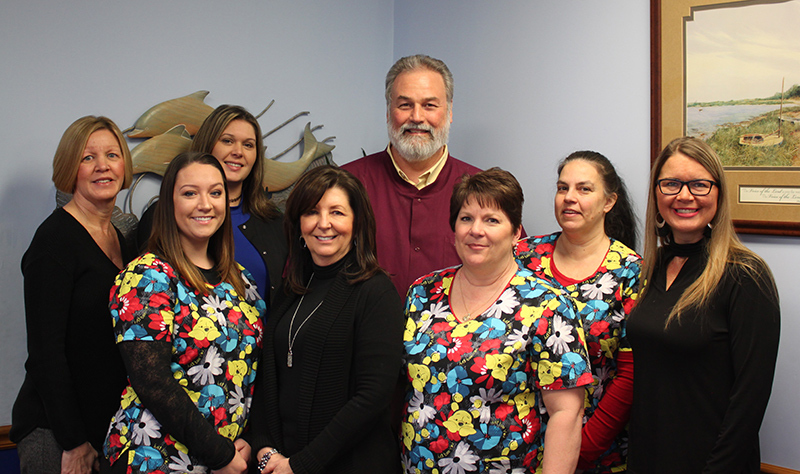 Dr. Creath and his staff are dedicated to excellence in all we do and to making the child’s dental experience as positive and beneficial as possible. There are two basic foundations that support our vision for providing pediatric dental care. First, we seek to make each appointment as comfortable and stress-free as possible- for the child as well as for the parent/guardian. We believe that with compassion, patience, gentleness, and kindness we can help each child acclimate, accept and even enjoy the dental office environment. We do our best to address the patient’s concerns and fears and take the extra time necessary to guide them into a positive experience. From the video games in the waiting room, to selecting rewards at the Prize Center at the end of the appointment, we are child-focused towards achieving a pleasant visit each time the patient comes to see us. Secondly, we emphasize preventative dental care. Through education of the parent/guardian and the child, including discussion on oral hygiene, diet counseling, and utilization of patient appropriate oral health products, we develop a personalized and practical plan to help each child achieve optimal dental health. We desire for each child to grow a healthy smile that will last a lifetime. Thank you for taking the time to visit our website. Please feel welcome to contact us with questions or concerns you may have. Milford Pediatric Dentistry, Inc. serving infants, children and teens in Milford, OH and the surrounding cities of Cincinatti, Loveland, and Goshen, OH.